Roseland Hotel is a B category hotel (European Standards:3 stars) and was established in 2000. 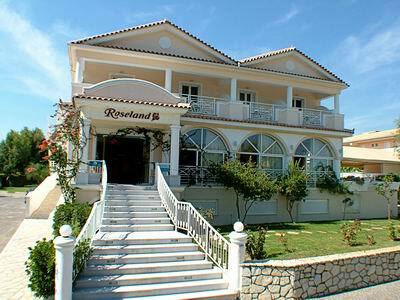 Roseland Hotel is situated at one of the most popular tourist resorts in Zakynthos, in the area of Kalamaki. It is situated 3 klm from the Airport, 4 klm from Zakynthos town, 400 meters from the center of Kalamaki town and just 300 meters from the beach. Roseland is a family – run hotel which is awarded for its friendly atmosphere, the interest that shows to its visitors and of course its outstanding services. 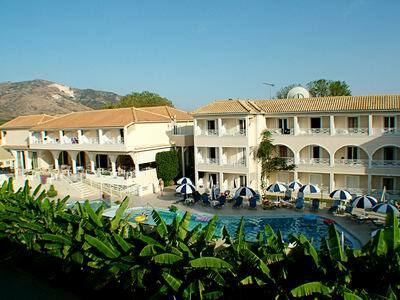 It is considered to be the best place to stay at the duration of your holidays in Zakynthos island.